Gerard Piqué: An automatic starter under Julen Lopetegui, the centre back played all 180 minutes of the 1-1 draw in Italy and the 2-0 defeat of Albania. Sergio Busquets: Also featured for the entirety of Spain’s two fixtures, and provided the assist for Vitolo to score the solitary goal against Italy. That was the second goal in three games that the Barça midfielder has set up in this qualifying campaign. Jordi Alba: The full-back started against Italy but picked up an injury after just 21 minutes of his 50th international appearance. He was replaced by Nacho and will be out of action for about ten days. Sergi Roberto: The Catalan sat out the game in Italy and on Monday it was revealed that he had pulled a leg muscle. That meant he missed the Albania match too and is in doubt for Barça’s upcoming fixture against Deportivo. Andrés Iniesta: The Barça captain was in fine form against Italy, and also was also excelling as Spain led 2-0 against Albania. With the victory looking assured, Lopetegui decided Iniesta had done enough and brought him off for the rest of the second half. Denis Suárez: The Barça midfielder was once again a key component of Albert Celades’ game plan. He scored the second goal against San Marino and also opened the scoring versus Estonia as well as setting up the third. But despite the wins, results elsewhere did not go the way of the Spain U21 side, meaning Sweden progress to the finals. Spain will get a second chance in the playoffs. André Gomes: One of five Portuguese players to get all 180 minutes of 6-0 defeats of both Andorra and the Faroe Islands, André Gomes provided one assist in those games as the European champions made good early ground in their bid to reach Russia. Neymar Jr: The Brazilian opened the scoring for his country in a comfortable win against Bolivia, and also provided two assists in his 67 minutes of football. But his yellow card meant he was suspended for the trip to Venezuela, which Brazil went on to win to move top of the South American table. 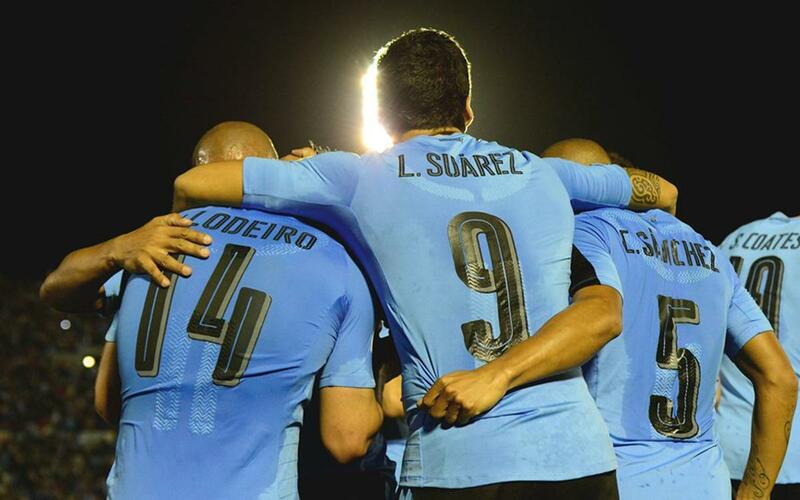 Luis Suárez: The Uruguayan didn’t find the target against Venezuela, but did supply two assists in an important win. He did score in Colombia, and that goal that makes him the all-time joint top scorer in Conmebol qualifying history. The game ended 2-2 and leaves the celeste well-poised for a finals berth. Javier Mascherano: The injured Leo Messi was replaced as Argentina captain by his Barça colleague for two games that did not go as planned for the 2014 finalists. The 2-2 draw in Peru was a setback, while the 1-0 defeat at home to Paraguay made matters worse. But Argentina are still very much in contention for a place at Russia 2018. Lucas Digne: It was a good week for France, with wins against Bulgaria and Holland. But Barça’s sole representative for Les Bleus was an unused sub in both matches. Jasper Cillessen: The Dutch keeper was on the bench for the 4-1 defeat of Belarus, and after getting injured in training was not involved in the 1-0 reverse at home to France. He will be side-lined for the next three weeks. Marc André Ter-Stegen: Manuel Neuer remains the first choice stopper for Germany, so the Barça keeper watched from the bench as the world champions continued their strong qualifying campaign with wins against the Czech Republic and Northern Ireland.